Driving home from church at around 12:30 today, we were astonished to see a line of people, a small distance from the highway, that extended for–I estimate–somewhere between a quarter and a half mile. 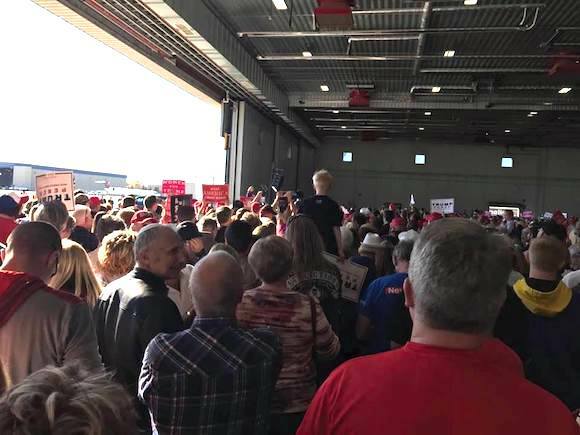 It took us a moment to realize what was going on: they were lined up for the Donald Trump rally in an airplane hanger, an hour and a half before Trump was scheduled to speak. Past the line of people were thousands of cars, parked in an area where I have never seen cars before. 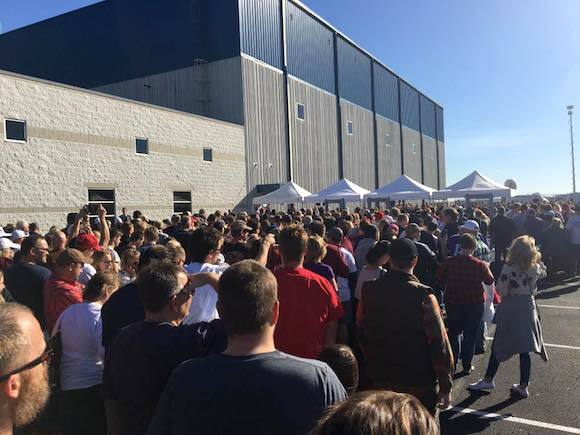 There are over 12,000 people in the hangar area for Trump, and thousands and thousands and thousands outside. Lots of fellow deplorables with me! The enthusiasm gap between Donald Trump and Hillary Clinton is palpable. 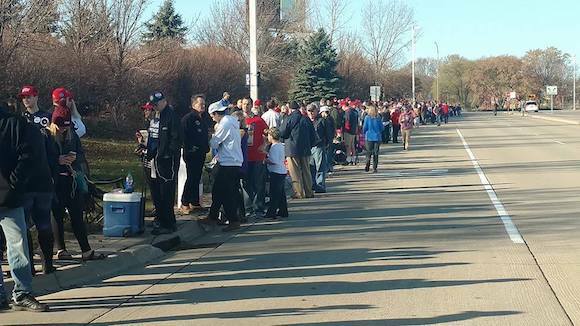 Hillary has endless money at her disposal, but she can’t buy a crowd. 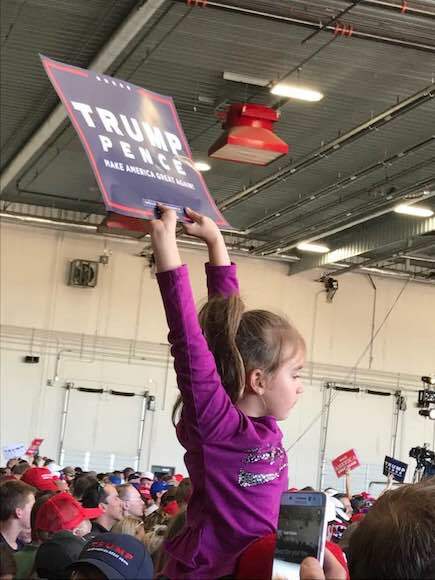 The symbol of a corrupt status quo, she is the candidate of entrenched interests that are willing to support her, but can’t pretend to be proud of it. 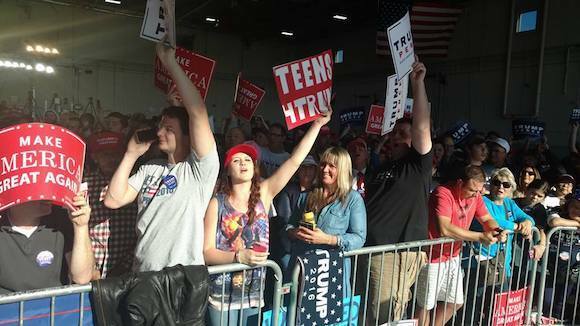 Not all of Trump’s supporters are enthusiastic about him, but a great many are. Whether genuine excitement can substitute for an adequate get-out-the-vote machine, we will find out on Tuesday. 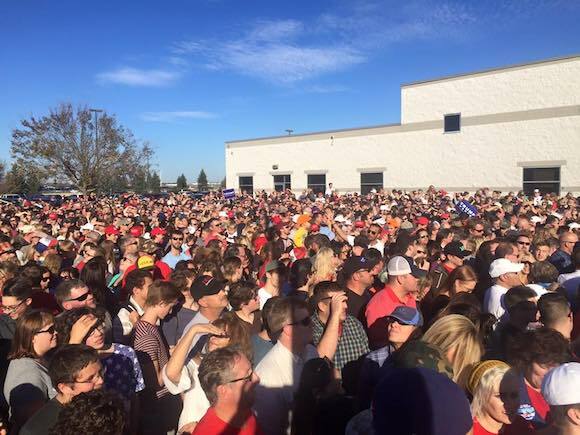 And these are the #deplorables that didn’t get inside!